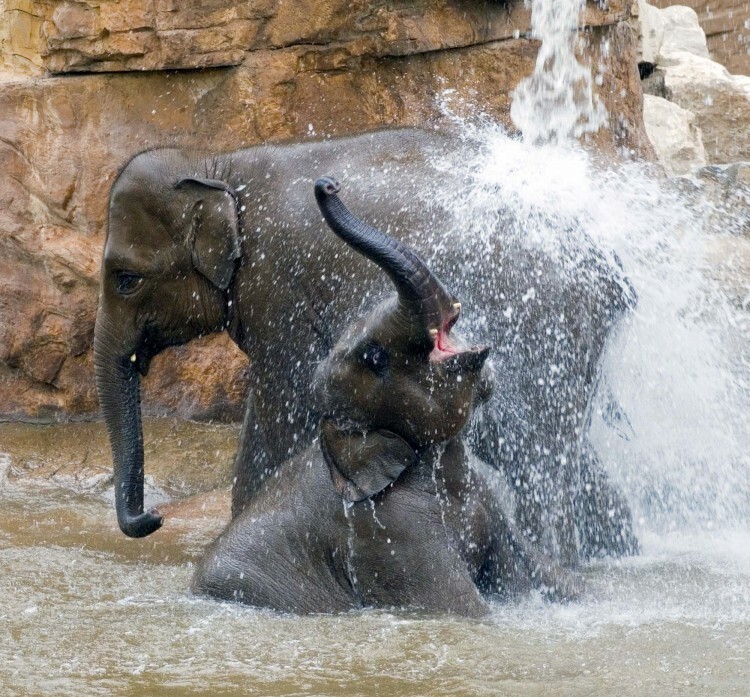 With over 7000 animals and 500 species, Chester Zoo is the largest zoological garden in the UK. Tsavo – A purpose-built enclosure for the critically endangered Black Rhino. Fruit Bat Forest – A dimly lit environment where bats fly freely amongst visitors. Spirit of the Jaguar – The largest jaguar enclosure in the world. Elephants of the Asian Forest – A themed home for elephants. Islands in Danger – Features Komodo dragons and other rare island species. The zoo is completely wheelchair and pushchair accessible. All toilet facilities have disabled access and parent and baby rooms. It also boasts a monorail and waterbus transport systems, a children’s adventure playground, and a good selection of shops and cafes. Chester Zoo is open daily all year from 10 am except Christmas Day and Boxing Day. Closing times vary throughout the year. Last entry is one hour before closing. For a full schedule of opening and closing times visit the official website. National Express runs a daily coach service from Leeds to Chester Zoo. On the way it calls at Bradford, Oldham, Manchester, and Manchester Airport. The First bus #1, from the Chester Bus Exchange in Chester city centre (behind Chester Town Hall) to Liverpool, stops at Chester Zoo (and also Bache, Cheshire Oaks, the Blue Planet Aquarium, Birkenhead etc.). During the day it runs every 15 minutes. 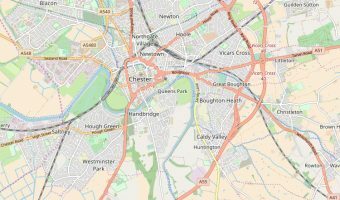 Chester Zoo is 3½ miles by road from Chester train station. A free bus service, the City Rail Link, runs to Frodsham Street in Chester city centre. It operates from Monday to Saturday with departures every 6 minutes. The Chester Bus Exchange is just a short walk from Frodsham Street. From Chester Bus Exchange catch the First #1 bus to Chester Zoo. Bache train station is around 1 ½ miles from Chester Zoo. The station is on Merseyrail’s Wirral Line and is convenient for visitors from Liverpool and Merseyside. First’s #1 bus service to Chester Zoo stops close to the station. Merseyrail offer a discounted all-in-ticket that includes entry into Chester Zoo, return travel to Bache station from any station on the Merseyrail network, and a return bus journey from Bache station to the zoo. Visitors arriving by car should leave the M53 motorway at Junction 12 and follow the brown tourist signs for Chester Zoo. Visitors with satellite navigation systems are advised by the zoo to use the postcode CH2 1EU (car parks) to find it. There is plenty of free onsite car parking at the zoo. Map showing location of Chester Zoo. We visit every year. This year as always didn’t disappoint. We love it. Keep up the good work. We went on a sunny back holiday in August as a group of fifteen and was really looking forward to a fun filled day and seeing lots of animals but was sadly disappointed by the lack of animals there. An excellent day out for everyone in the family. Loads to do, loads to see and all a very high standard. Value for money. We took advantage of the reduced winter rates. The tigers didn’t really like me but I loved the sea lions and penguins. I really enjoyed myself at the zoo with the Bishops Castle Community College. I found the presentation at the beginning very interesting. The bat cave is a really good place to scare your girlfriend. It’s really dark and you can only just see the bats flying around. In one part they come really close to you and you can feel them near you. They don’t crash into you because I think they navigate by sonar or something like that. My favourite animals at the zoo are the chimpanzees. They are very funny to watch. Chester Zoo is really good but can get very busy. We went last summer and many of the enclosures were really busy. We couldn’t get anywhere near the Jaguars. Probably best to go off season.